This is very last minute, but we wanted to alert the young farmers out there to a great opportunity to participate in International dialogue about small-scale production, traditional methods, and cross-cultural knowledge exchange. Maybe some of you have heard of it, or applied already, but this year will be the third edition of Slow Food’s Terra Madre. This conference of farmers, chefs, educators, and students from around the world will be held in October in Torino, Italy. Please learn more here: www.terramadre2008.com. You must apply to attend, and if selected as a delegate, all of your expenses in Italy are covered by Slow Food. The applications were due April 30, but they are secretly still available until tomorrow. Make haste! 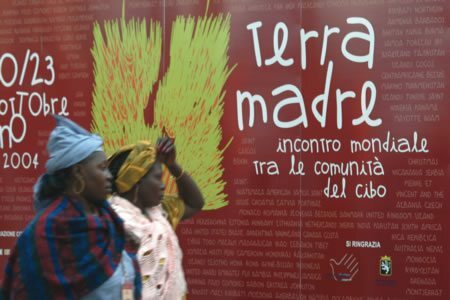 Those from the US can apply online here: http://www.slowfoodusa.org/events/terra_madre_2008.html. There is a special emphasis this year on young (under 35) farmers!